Welcome back, everyone. It’s Said from the Developer Community at Hewlett Packard Enterprise. This month I’m excited to share some interesting news about HPE’s commitment to design. 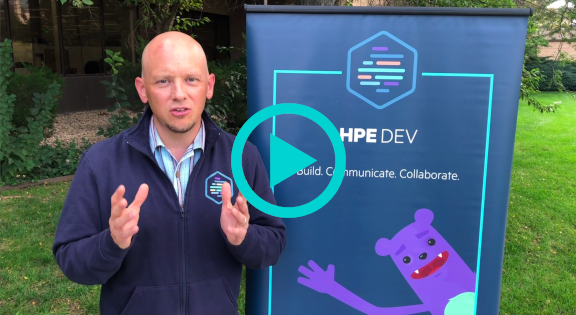 I’ll let Bryan Jacquot, newly appointed Chief Design Officer for Hewlett Packard Enterprise (HPE) lay out his vision, and show how design thinking impacts the collaboration work you contribute to in the HPE DEV community. HPE recently launched HPE OneView 4.1, an infrastructure automation engine built with software-defined intelligence and a unified API. With over one million licenses shipped, chances are that you have already worked with HPE OneView. The HPE DEV portal has links to over 30 repositories, demos, guides, SDKs and language bindings, and other technical resources for you to access. Let’s take a look at how design thinking, working closely with developers, has improved customer experiences in a specific integration for HPE OneView 4.1— HPE OneView for VMware vRealize Orchestrator. By integrating HPE infrastructure management features directly into VMware vCenter, administrators can use a VMware management toolset they’re already familiar with to deploy, monitor, manage, and update infrastructure resources directly from the vCenter console. That simplicity and ease of use is what can be achieved when design thinking and customer focus is incorporated into an application development plan. Remember Sir Hackington Appbuilder III? He’s HPE DEV team’s mascot and has been busy traveling over the past few months. You can read about his (and our) adventures talking to developers at events like OSCON, Google Cloud Next, and VMworld. 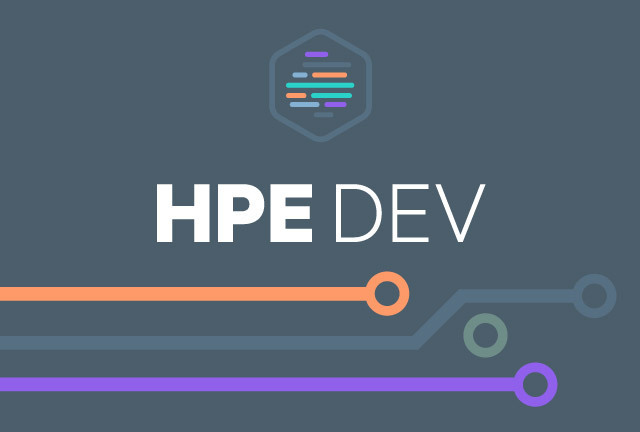 For the latest news and updates from HPE DEV, dive into this recent round of developer blogs and associated content from the HPE DEV community. Staying up to date with our latest how-to’s can give you quick insight into technical challenges you may be facing as well as suggestions on how to resolve them. HPE Integrated Lights-Out (iLO) is an embedded server management technology that provides the use of a dedicated channel for managing network devices—in other words, Out-of-Band Management. iLO makes it possible for administrators to monitor and perform activities on servers from a remote location. For developers familiar with iLO, this blog walks you through the ways you can use the Redfish® RESTful API to prevent reaching the maximum number of HTTP sessions through two common management techniques, as well as how to use the session management object in Redfish. As with design thinking, transforming your operations into one that can embrace rapid iterations and failing fast, rather than failing silently, is one that pays off in the long run. Embracing a DevOps practice allows companies to do this by expanding agile practices beyond IT, shifting left (testing early) within a continuous culture, and embracing the right kinds of failure. This blog explores the ways companies and developers can drive this kind of transformation. We’re always making changes and improvements to the HPE DEV community site. This month we launched a search feature to make it easier to find all the content related to a given project or platform. You can find this new search icon on the upper right corner of the HPE DEV portal. Got an idea for improvements to the site? Drop us a line and maybe we can get it added to our next Design Sprint! The strength of our developer community is driven by you. Have some code or a technical blog you want to share? Chances are good someone else in our community is eager to see it as well. And chances are equally good there’s some knowledge on our site from one of your peers that’s just right for your latest project. Come join our growing ranks and see for yourself. You can also join the conversation on our Slack Channel, and learn from and contribute your insights right away.